Facebook is a great way to get to know your customers, and if you get your engagement right your business will enjoy the benefits. Make it easy to interact. Make it easy to click from Facebook page to website to purchase. If relevant, show videos of your products so people find it easy to understand what they do and how to use them. If you want people to keep viewing your page you need to give them a reason to return so make the posts and comments relevant, stimulating, interesting and post around 2 or 3 times per day. Keep the content lively and engaging by referring to wider topics than just the products on offer. Postings should be relevant but stimulate a conversation on related topics so you can keep the engagement with your page at a high level. Offers may stimulate purchases but try not to annoy the community with too many, there is a balance required. Optimize the use of these tools. 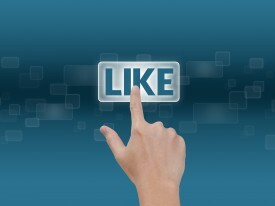 Use “like” on ads and web pages to generate traffic on your Facebook site. Through “Share” you can capitalize on the wider Facebook community which may have an interest in your products or the topics generating interest on your pages. Regular signposts should be provided on your Facebook page directing customers to web pages, blogs, Tweets and your wider promotional campaign. Link to other sites and groups too. This may generate some reciprocal linking plus your site will register more activity. Use “notes” to link to blog where more detail can be found on your brand, business and related topics. Genuinely listen to the feedback you receive on Facebook. Don’t simply use your Facebook page to make announcements or show products but genuinely interact with the people commenting and liking your content. Facebook is a friendly environment and by making comments and by taking part in discussions it shows you are aware of your customers and your relationship with them is more than superficial. This builds the kind of customer loyalty and reputation for attention to detail and personal service that enables businesses to get ahead of their competitors. Use the analysis tools. Measure what works and stimulates interest on the page. Check which elements of the page are leading customers to actually making a purchase. If you get something wrong apologize, make it right and work out how to prevent it happening again.